The Motor Vehicle Division of Arizona Department of Transportation has approved the utilization of digital license plates in vehicles. The digital license plates will be called as Rplate Digital Plates, and the Reviver Auto has made them. As per the statement released by the Arizona Department of Transportation, the drivers of the state will get the option of new license plate option after the introduction of the electronic digital plates. 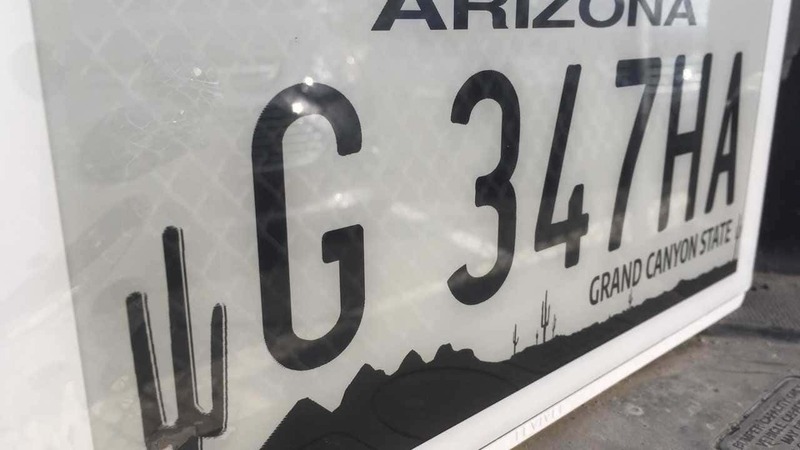 The ADOT confirmed via a statement that it has collaborated with the Arizona Department of Public Safety to make sure that plates and the message they reflect are in sync with requirements of the law enforcement. Speaking on the development, the spokesperson of the ADOT Doug Nice said that Arizona is the second state to implement the cutting technology in transportation. The state is making available these plates through its offices. You can also avail digital license plates from third-party resellers which mainly comprises of dealerships and service providers. Moreover, you can also get in touch with Reviver Auto to purchase the digital plates. Before approving the Rplate, the Arizona Department of Transportation tested the number plates on plenty of vehicles for one and half year. The ADOT tested the plates across the state to evaluate the functionality, capability, and performance of these plates under tough and varied weather conditions. The Department has confirmed that Rplates are LTE wireless connected instruments much like a normal tablet. Once installed, the plate will be connected to the battery of the vehicle and will be displaying the messages. Also, apart from displaying different things, the technology allows for extra messages such as “stolen” and any such other notification. As of now, California is only one other state which has approved the digital license plate. According to Reviver Auto, the aim is to have their Rplate approved in states like Florida and Texas in the near future.